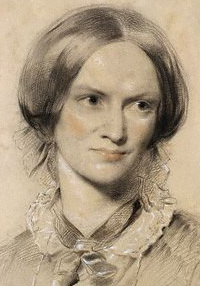 I am a massive Charlotte Bronte fan, ‘Jane Eyre’ and ‘Villette’ being my two favourite books of all time. One thing that never ceases to amaze me is the position Jane Austen has assumed in the English literary canon, and where she has been posited relative to Charlotte Bronte; the clever but fairly sedate narratives of the former strangely taking precedence over the powerful literary genius and profundity exhibited by the latter. Here, the narratorial voice becomes conflated with Emma’s, such that we can quite easily identify the sentiments expressed with Austen’s own. Similarly, the heroine of ‘Mansfield Park’, Fanny Price, encounters acute discomfort and even mortification, in the course of becoming re-acquainted with her relatively impoverished parents. Fanny’s highly distressed and agitated state of mind throughout the course of her Portsmouth visit does not ensue from any actual ill- treatment inflicted by her nearest of kin. 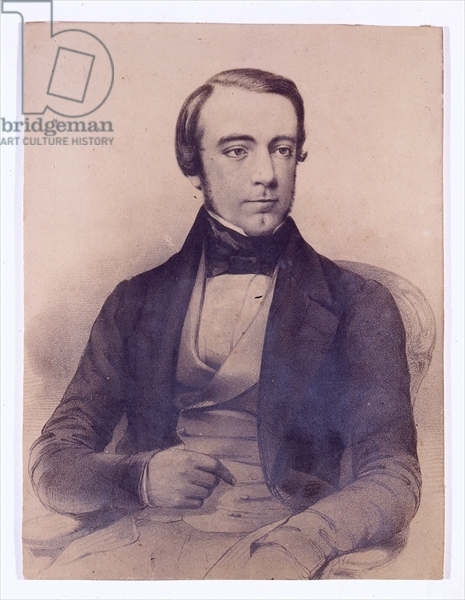 Certainly, Mr. Price is no model of rectitude, but what disturbs Fanny was her father’s coarseness of manner, her mother’s lack of refinement and poor management in superintending a large household. Most troubling for Fanny is her forced physical proximity to all of this, resulting from the small size of parent’s residence. Fanny has been characterised as a sensitive and empathetic young lady, who would be very unwilling to make her parents inferior station a subject of reproach. But it is again difficult to overlook the strong classist dimension of her experience, and the element of class prejudice which forms an integral part of Austen’s vision, deeply informing her notions of respectability. The lack of finesse and cultivation Fanny’s family demonstrates, and the cramped nature of their abode, is almost an inevitable adjunct of straightened means, and a paucity of resources. While it would be unjust to call Fanny a rank snob, her longing and preference for Mansfield Park is predicated on the calm, repose and tranquillity which comes with affluence, and a removed country estate. For Austen, these material assets are necessary to accommodate Fanny’s sedate habits and reflective turn of mind. Even in the more ‘didactic’ of Austen’s novels, the thoughts uttered by her more contemplative protagonists, rarely manifest profundity or genuine sagacity, but border on the prudential rather than moral.What is most puzzling, is the contemporary appeal Austen retains, inspite of her emphasis on station, and heavy leanings towards the status quo. Another compelling criticism of Austen’s work is that she merely specialises in what may be termed ‘surface’ slights and incivilities, but has cannot go far beyond this and actually delve into the depth of human experience and feeling which even most ordinary people encounter in the course of their lives. Fanny is admittedly the most pressed upon and harassed person in the Bertram household. Sir Thomas’s stern visage, Aunt Norris’s cutting allusions to her dependency, Lady Bertram’s constant requisition of her services, and Maria and Julia’s loftiness, all have their due effect. Even so, the trials encountered by Austen heroines, be it Emma or Fanny Price, often assume a trivial sort of quality, and cause the reader to wonder about the complacent and assured world Austen inhabited. Having been termed ‘the only heroine in English literary history to get a headache cutting roses”, Fanny’s deprivations include having her ride usurped and pony designated for Mary Crawford’s use on one occasion, and being unduly pressurised to participate in the home theatrical on another. For Emma, her rudeness towards Miss Bates on one occasion, and the resultant sense of shame she feels, constitutes the worst experience of her life. Austen’s disdain for the artificial histrionics and contrived intensities of the fashionable novel churned out by her contemporaries, is understood. However, I believe that Austen goes beyond divesting her narrative of such overwrought kitsch, and actually shuns core dimensions of human experience. Any sort of depth of feeling, fervour or earnestness emanating from the heart is quite absent in her sedate narratives. As Julia Kavanagh pertinently remarks “an elopement, a death, a seduction are related as placidly as a dinner or ball, but with much less spirit”. 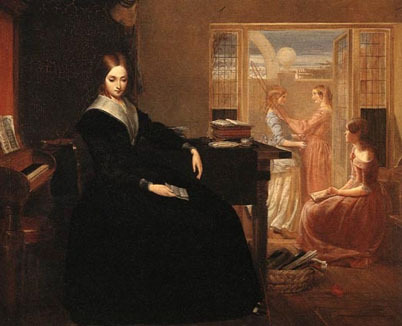 Charlotte Bronte’s novels form a radical contrast to the work of her predecessor. Animation, pathos, and genuine wonder at her genius, are the feelings that accompany a perusal of Charlotte Bronte’s work. We are won over by her own earnestness and acute capacity for feeling, and the similar traits she endows her protagonists with. Like Mr Rochestor, we value Jane’s sagacity and the wit and insight conveyed in her discourse. Her animated, yet subtle, sophisticated, yet natural, assertive yet ostensibly compliant conversation and mien, make her a deeply admirable heroine. Bronte succeeds where Austen does not: in representing genuine interiority or the subtle psychological processes which inform human behaviour. Importantly, her work rings true. 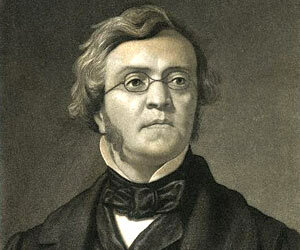 When Mr Rochestor pronounces remorse ‘the poison of life’ and asserts that “when any vicious simpleton excites my disgust by his paltry ribaldry, I cannot flatter myself that I am better than he: I am forced to confess that he and I am on a level. I wish I had stood firm- God knows I do!” it smacks of the truth; remorse is indeed the bane of existence and as Mr. Rochester affirms, ‘reformation’, not just ‘repentance’ is its cure. Of course the peripheral characters are no less skillfully depicted, and we retain a strong sense that they too emanate from truth; be it Bessie, Georgina and Eliza Reed, Mrs. Fairfax, Adele, or Rosamund Oliver.